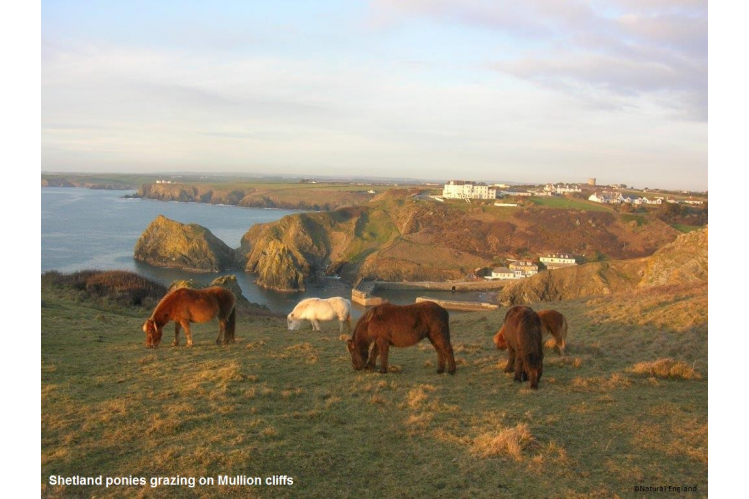 Can you help support our Cornish grazing ponies this year? These beautiful animals graze the heath and coastal meadows of Goss Moor and The Lizard National Nature Reserves keeping our environment full of amazing wildlife. Darwin, Queenie and Paris can be seen working hard on Goss Moor protecting habitats for rare orchids, dragonflies and birds. You have the opportunity to sponsor the ponies and help them protect even more wildlife for you to enjoy! Dobbin, Guinevere and cheeky Kiki live together on The Lizard, their main job is to keep the grass short to allow spectacular displays of flowers to carpet the cliff tops, and this encourages rare birds such as choughs and nightjar to thrive on The Lizard. 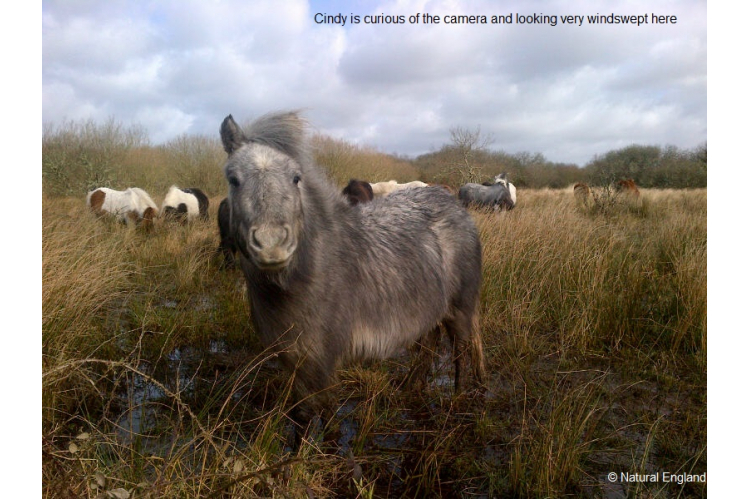 Your donation will help pay for looking after these gorgeous ponies, and protect Cornwall's stunning wildlife for future generations to enjoy. £500 will allow us to buy two new ponies and integrate them into our herd. £1000 will allow us to graze around 50 hectares for one year helping us to provide the very best habitats for rare species such as Cornish heath and the Marsh Fritillary butterfly. You can choose which adorable pony to sponsor and find out what goodies you will get with your sponsorship! Tell us which pony you’ve chosen after your payment has gone through to make sure you get all their latest news straight to your inbox. You're also confirming that you have read and accepted our terms and conditions. For further information on how Natural England process your personal information please see the sponsorship and donations privacy notice.